Phew! 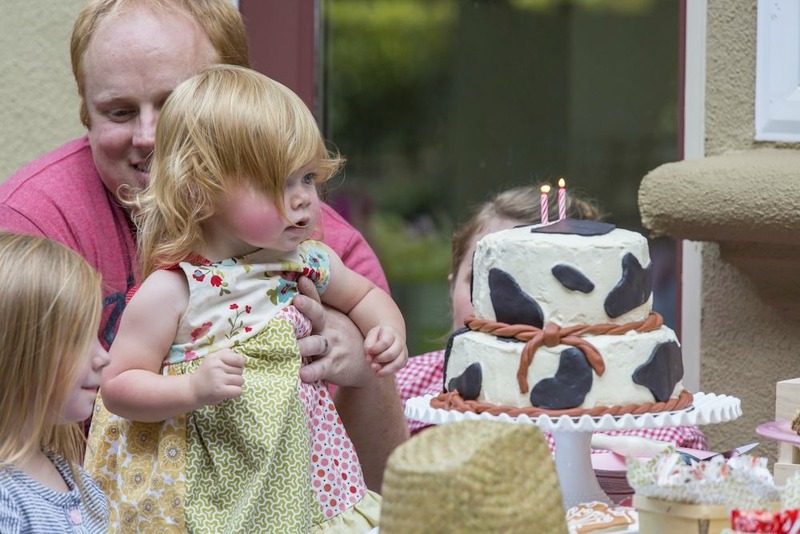 We all survived Charlotte’s second birthday party! I say survived because we had a high of 104 degrees that day…it was sweltering to say the least! Nevertheless I am one determined gal when I put my mind to something, so I persevered-thanks to a lot of help from my sister, Rory’s parents, Rory’s sister and her hubby, and Rory of course! Thank you sooo much for all your help! Also thanks to my dad for some of these photos-he’s an awesome photographer! Here’s the invite my friend Tara from Paper Patch Ink made! Isn’t it adorable!? 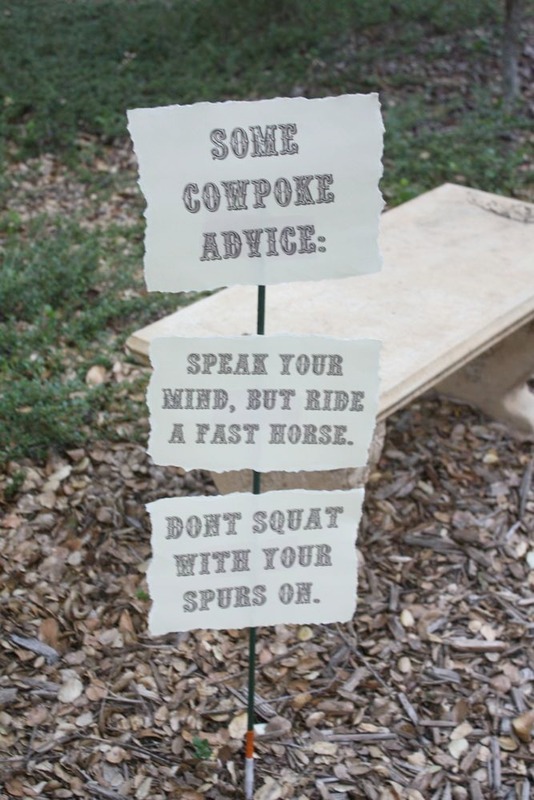 So when the guests came into the backyard, they were greeted by some funny cowpoke advice-my favorite is the spurs one. youch. Then the little ones were invited to gear up in some straw cowboy/girl hats and bandanas. 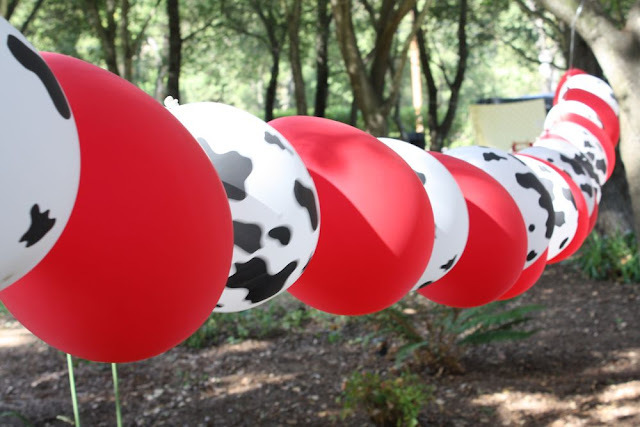 I ran out of helium after blowing up a larger-than-Charlotte-sized horse balloon, so we ended up stringing these cute cow print balloons on some string between a few trees! Thanks Susan, Shawn, Janae, and Emma for helping blow them all up! 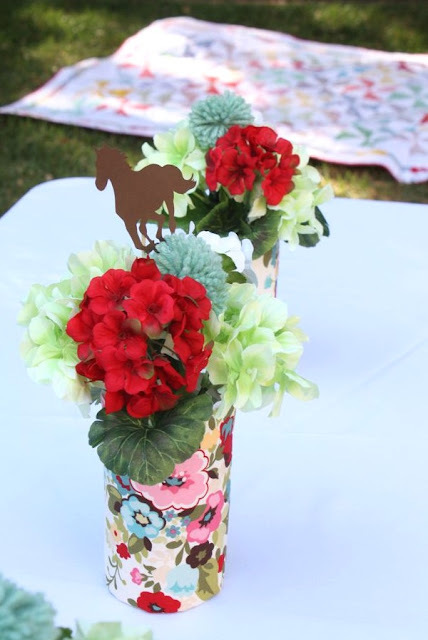 I made these centerpieces for the tables out of salt containers wrapped in fabric with flowers inserted into holes poked into the top. Ingenious, right? 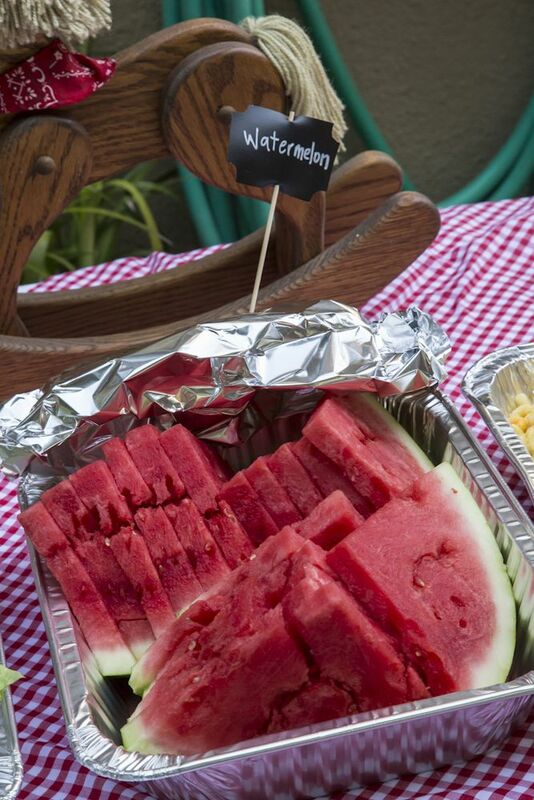 My mother in law invented these bad boys and they were awesome at holding down the tablecloths and looking cute. Two aspects you always want in a centerpiece, right? I cut the galloping horses out on my Silhouette. Hey! 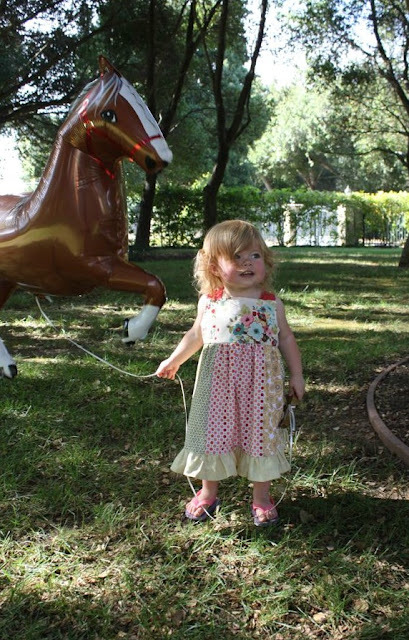 There’s that larger-than-Charlotte-sized horse balloon! She loved that thing, many of the kids played with it until it escaped into the sunset aka the blue yonder aka floated away. There was a heroic effort to retrieve it (thanks Tracy!) but alas it wanted it’s freedom too much. 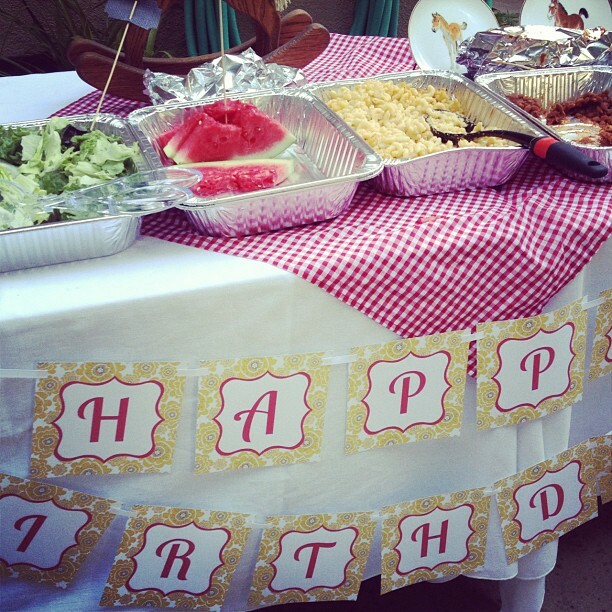 I designed the Happy Birthday banner (hung in front of the food table) in PicMonkey, printed it off on card stock, and strung it up on some ribbon. I made this wooden and fleece horseshoe set for the kids/whoever, more info on that another day! 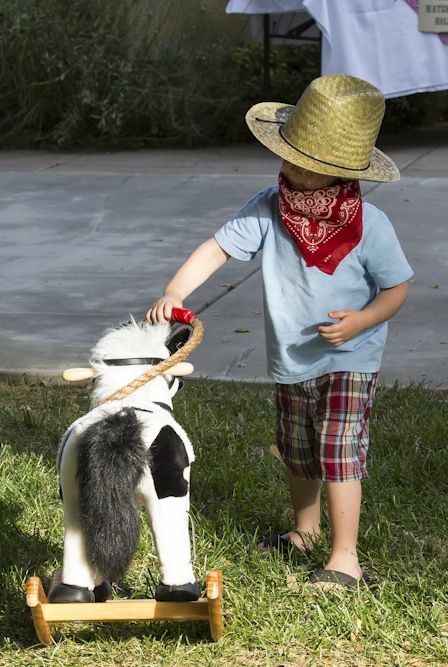 The other “game” I had was Rope yourself a Pony…which was just our little rocking horse patiently getting roped over and over again by a bunch of kids. I got the rope at the hardware store ($1 a foot) and taped it together with some red duct tape to form a ring. I also set up a photo booth! I tried this with Sadie’s first birthday party but it was indoors and didn’t work out very well…this time was much better! 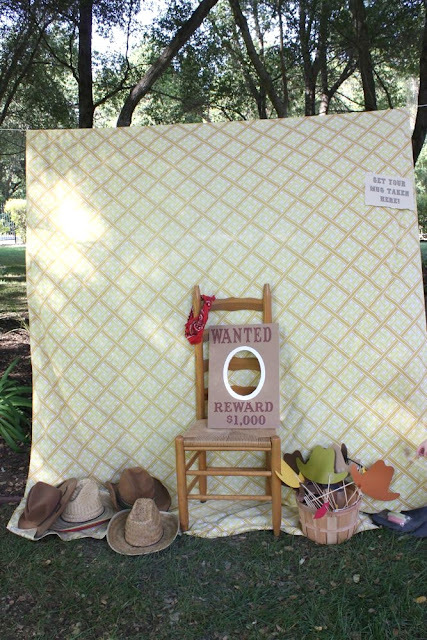 I bought a vintage plaid sheet on Etsy and strung it up between two trees with some clothesline…then made a bunch of photo props with my Silhouette-mustaches, lips, hats, and sheriff’s badges. I also made that fun WANTED sign with some cardboard and letters cut out on my Silhouette. You might notice a trend here. 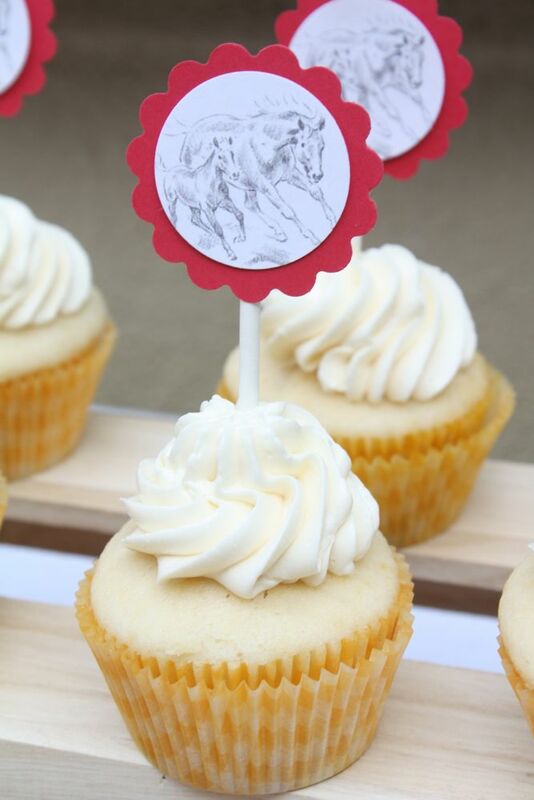 I love using my Silhouette for parties! I also painted these wooden speech bubbles with chalkboard paint and you can see my sisters had fun with them! Now for the food! I may have gotten carried away with the theme, but at least there was plenty of chow! yum. I found those fun take out containers at a local restaurant supply store and thought they’d fit the theme perfectly! 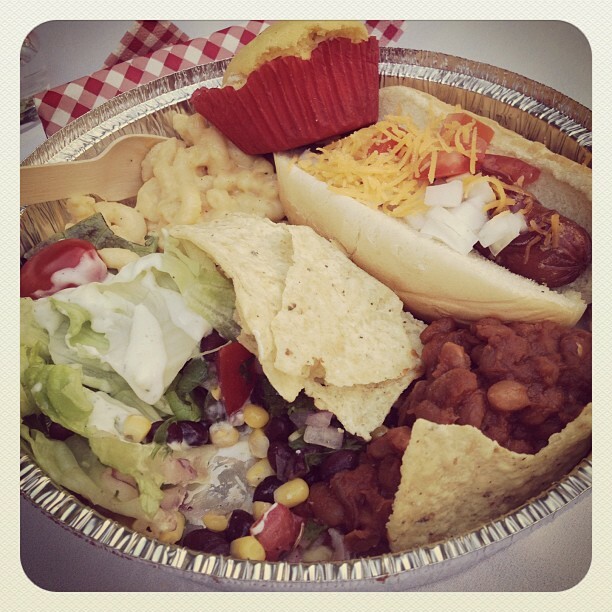 We had hot dogs (turkey and regular), and lots of toppings for them! I bought some of those squirty bottles and put in BBQ sauce, ketchup, mayo, mustard, relish, and a knock off of J Dawg’s sauce. (haven’t ever tried their hot dogs so I don’t know if it was close but it was sure tasty!) Then I had chopped onions, tomatoes, and cheese to go on top. I cut some circles and horseshoes out of scrapbook paper on my (take a guess) Silhouette, and glued them to the tops of applesauce. They were yellow horseshoes at first, but it was a bit reminiscent of the Golden Arches of McDonalds, so I switched them to brown. Much better. You can also see the butter-I made honey butter, and whipped butter, and piped it into some small mason jars. The cornbread is hiding under that paper towel. Shoo flies! 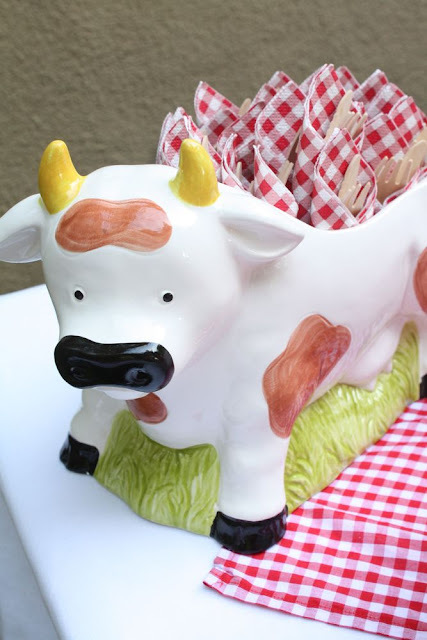 I also found Bessie here at the thrift store for a measly $3, so I snagged her to hold wooden utensils wrapped in gingham napkins. 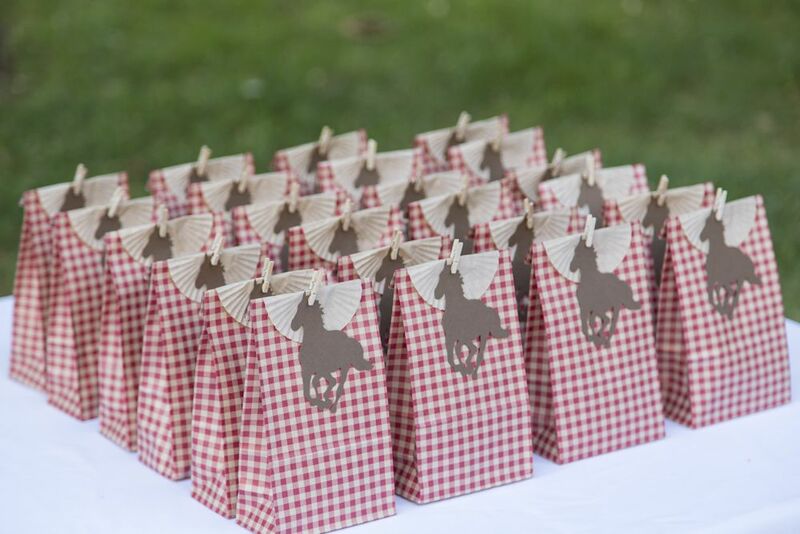 The gingham table squares I reused from my sister’s bridal shower. 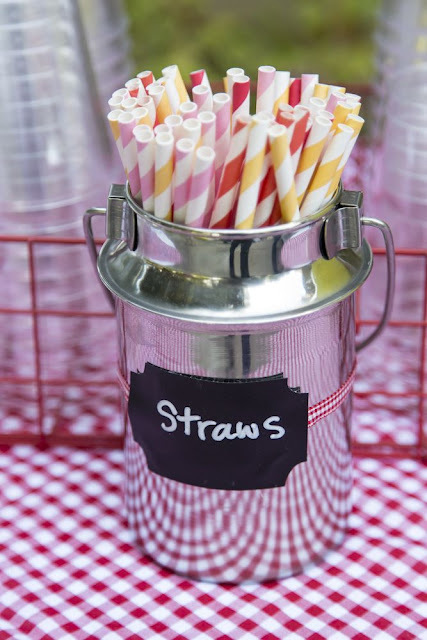 Hooray for reusing stuff! Another thrifting score! Is it weird that I would have bought these regardless of planning a cowgirl party? I love baby horsies! You can see part of the little rocking horse I also thrifted in the picture below. I tied some paisley fabric around his neck. cute! We also had watermelon, homemade mac n’ cheese, homemade baked beans, and a “tumbleweed” salad. My mother in law is the best. 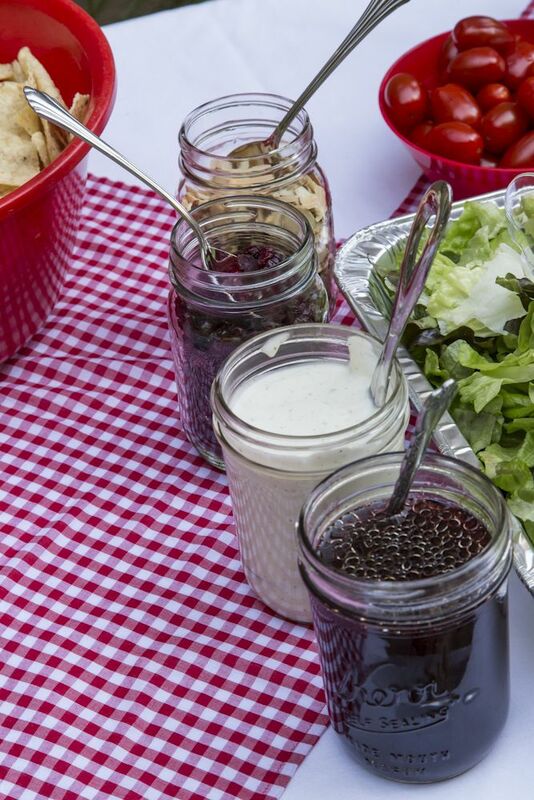 She did the salad for me, and put the salad toppings/dressings in adorable mason jars with the cutest ladles! Of course, you know me and a theme…so I had so much fun brainstorming (aka, Pinteresting) ideas for this table! First I’ll talk about the cake. It was my first time doing a stacked tiered cake, and it was actually a breeze! I did a little research and bought some hollow plastic tubes from Michaels that supported the top layer, along with cardboard cake boards. It’s a chocolate cake with swiss meringue buttercream. 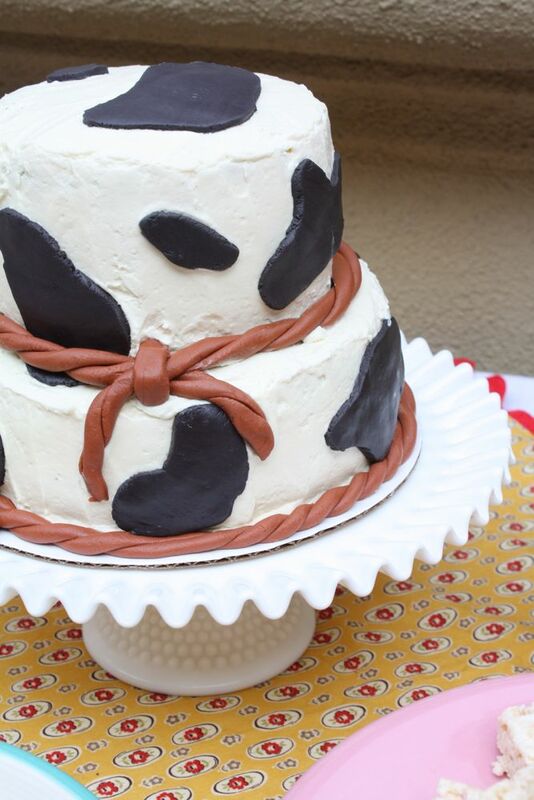 I made some brown and black marshmallow fondant, then cut out the cow spots and rolled out some “rope”. As I told Rory-one of the easiest cakes I’ve done yet-mainly because I didn’t try to cover the whole thing with fondant. 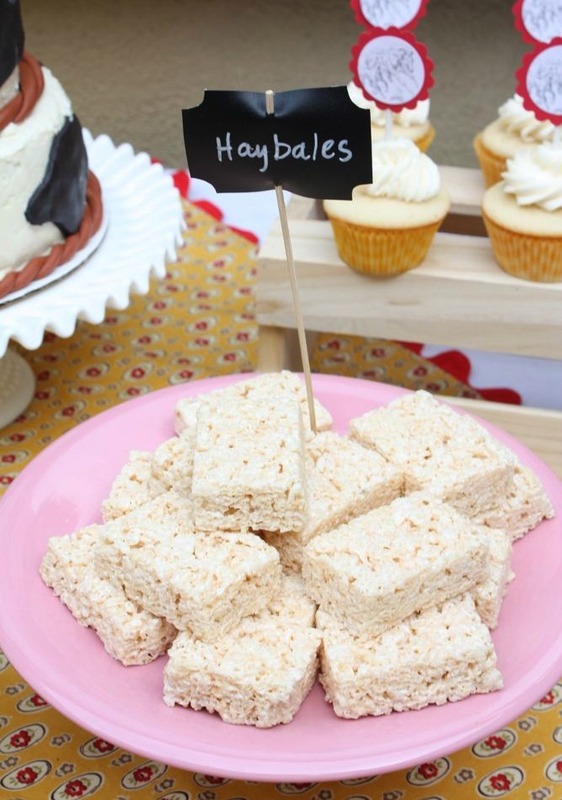 I decided to use at least a few things that were store bought on the dessert table-one less thing to worry about it nice…so I bought these rice krispie treats and called them haybales. done and DOne! I made these vanilla cupcakes, frosted with swiss meringue buttercream as well, baked them in some yellow gingham cupcake liners, and made some cupcake toppers with some lollipop sticks, a scan from an old horse book I had, and my scalloped paper punch. I looove how the sugar cookies turned out! I made some boots, hats, and scalloped horse silhouettes. The boots are my fav! Followed by the horsies. 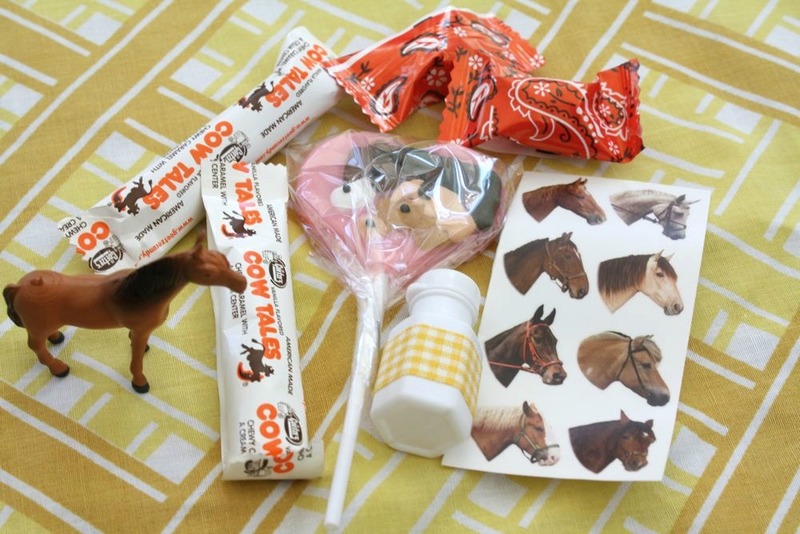 I bought some “cowhide” taffy. Perfect, no? 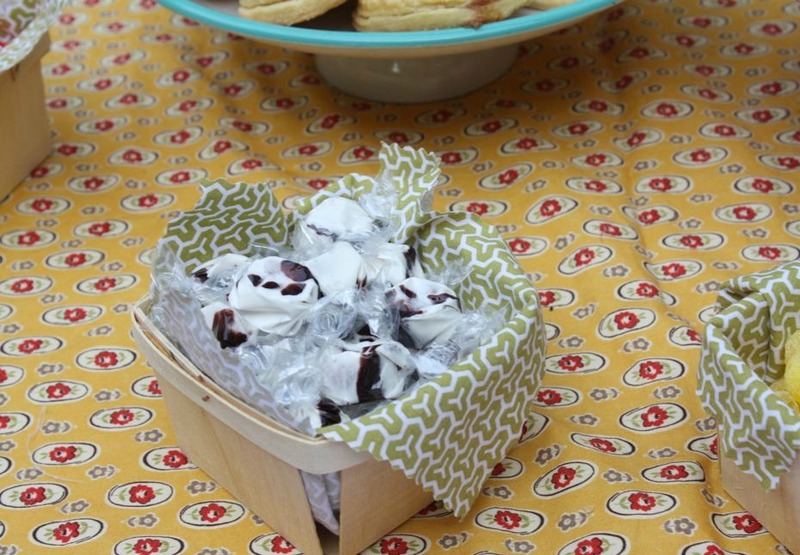 Also some Cow Tales, lemon drops, and saltwater taffy went into these cute wooden berry boxes. 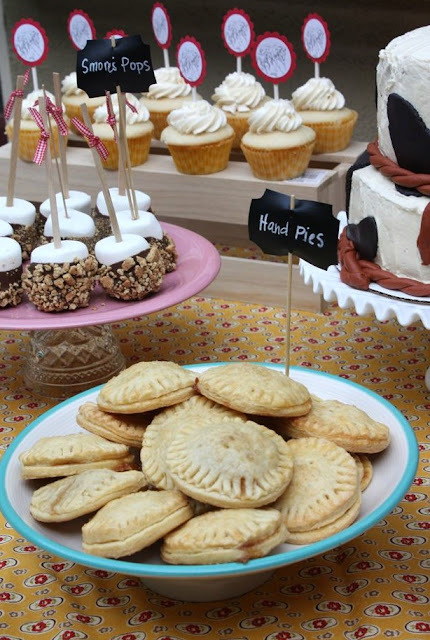 These little hand pies were pretty yummy! They were apple, and I don’t usually like baked apple, but they were good! The crust was flaky and buttery. I think I’ll have to do a post with just the recipes! lol. 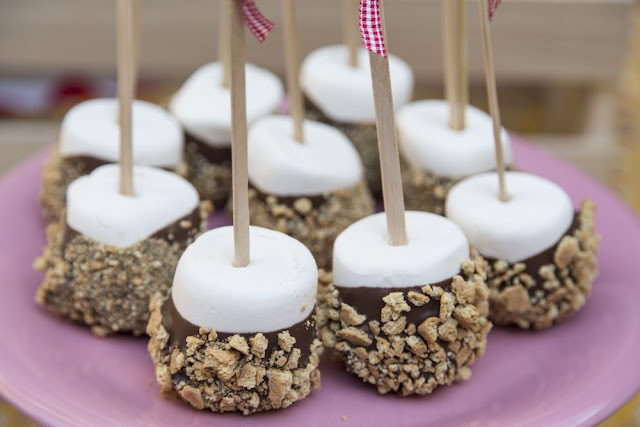 I made some easy peasy and delish smore’s pops with jumbo marshmallows, chocolate almond bark, and crushed graham crackers. Really easy! I tied some gingham ribbon around the top for some cuteness…cause it needed more, ya know? I ripped a bajeellion strips of fabric for that fabric garland-and sewed some giant ric rac around the edges of a yard of fabric for the table square. The cake plates I reused from other parties. Yes I am hiding behind the cake in this one on purpose…haha me+heat=flushed cheeks. Just check out Miss C.
Happy Birthday Charlotte! She blew out her candles like a pro! For the favors (also each kiddo got a hat and bandana) I bought some gingham bags, then folded over the top, a tan cupcake liner, then clothes-pinned a card stock horse silhouette on the front. Simple but I loved it. Inside the bags were some Cow Tales candy, horse lolly, horse stickers, mini horse toy, mint candies, and bubbles wrapped in washi tape. Did you make it to the end? Wow I’m impressed. Oooh Jess! You have no idea how excited I was when I saw the post’s title on my reader! 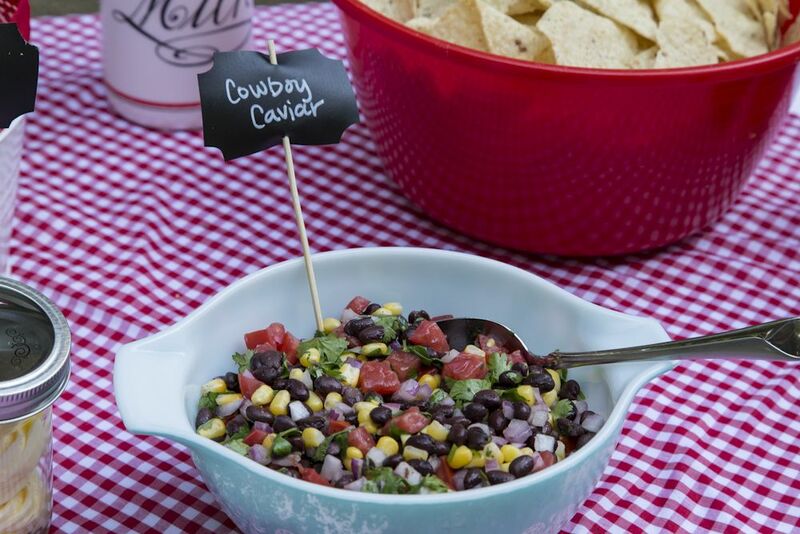 And true enough, this is by far my most favorite cowboy party. EVER! This is amazing. You really went all out!!! I love it! 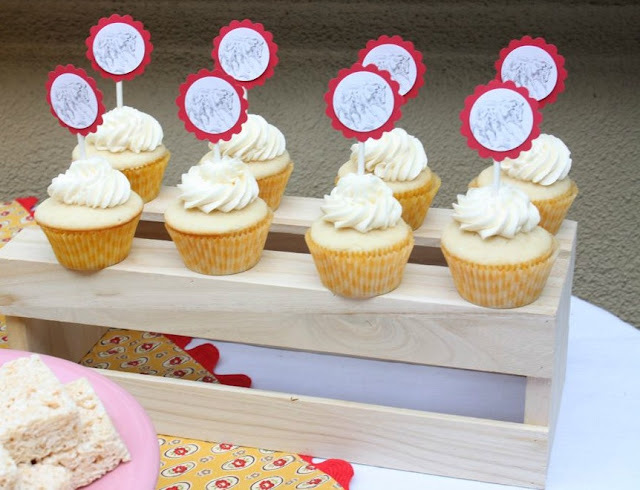 I am amused that you made the cake with homemade fondant and decorated cookies (both time consuming and not easy to do) and you bought rice Krispy treats. Ha! It would have been the only thing I could have made! 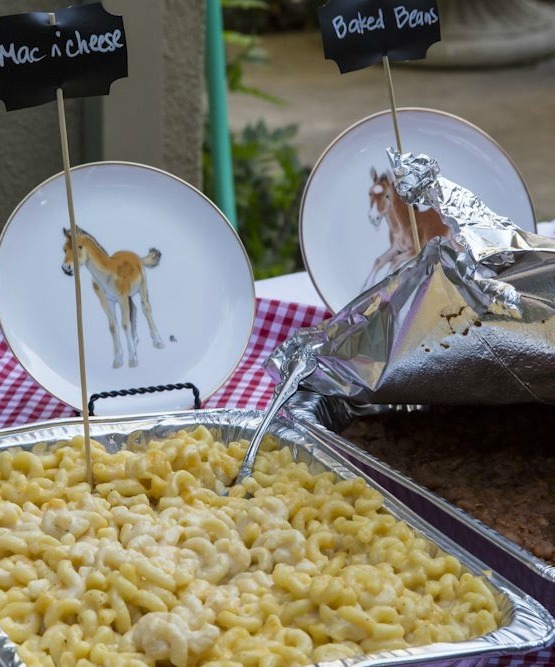 I love how you carry a theme throughout the whole party!. Everything looks wonderful! Can I fly you up in August when half my kids have birthdays? Wow, wow, wow! What a party. I love your attention to detail. The work you’ve done is so impressive! Adorable Jess. 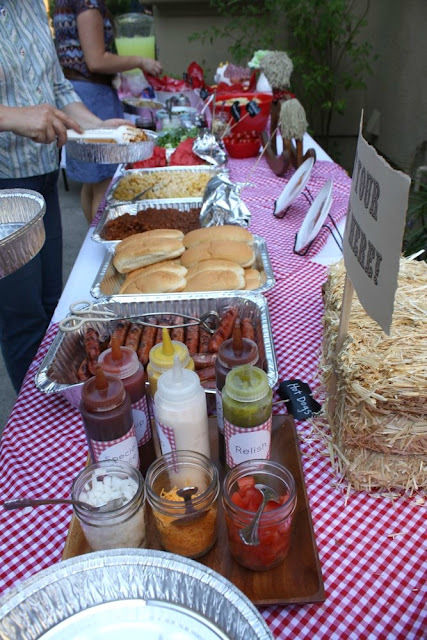 You know how to host a party! I am absolutely stunned that you did ALL this. It’s absolutely FANTASTIC. seriously, I’m bowled over. My jaw is on the floor! Fabulous party! 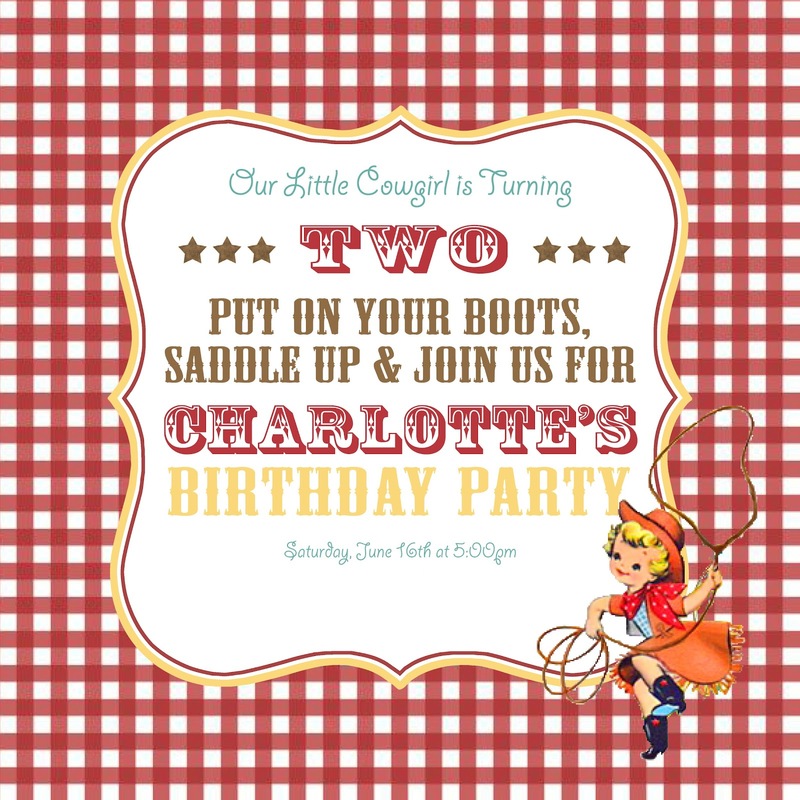 Charlotte is adorable, and the party looks great. Styled, but so much fun! 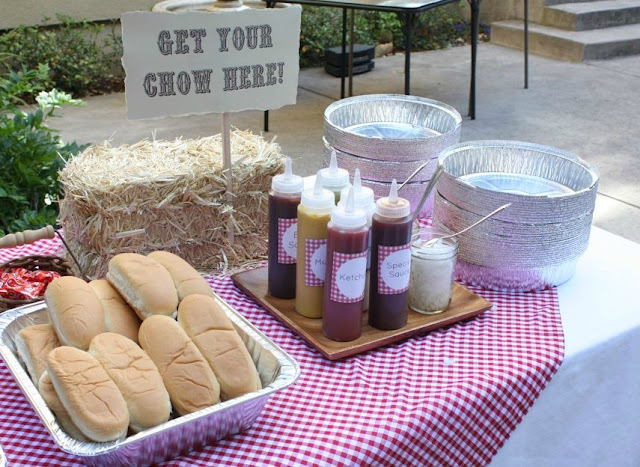 you missed your calling as a party planner. wow!!! i’m just so amazed, you think of so many great little details jess. so cute! It turned sooo Cute!!! (…as if it would be anything but!) I loved everything! You are so great with little details. And I love all the things you were able to find by thrifting,that’s awesome! Wow, Jess! That looked incredible. I’m so impressed with all the handmade details … it looks professionally done! Especially the cookies. You really know how to pipe a cookie! Amazing, Jess! 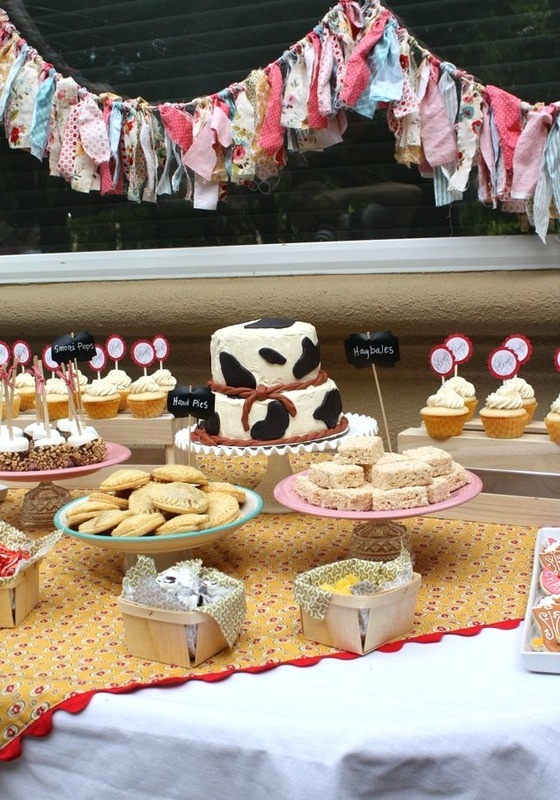 Such a cute party, and such delicious-looking food! Thanks for sharing, I’ve been looking forward to this post. Oh my gosh, you are amazing!!! Woah. 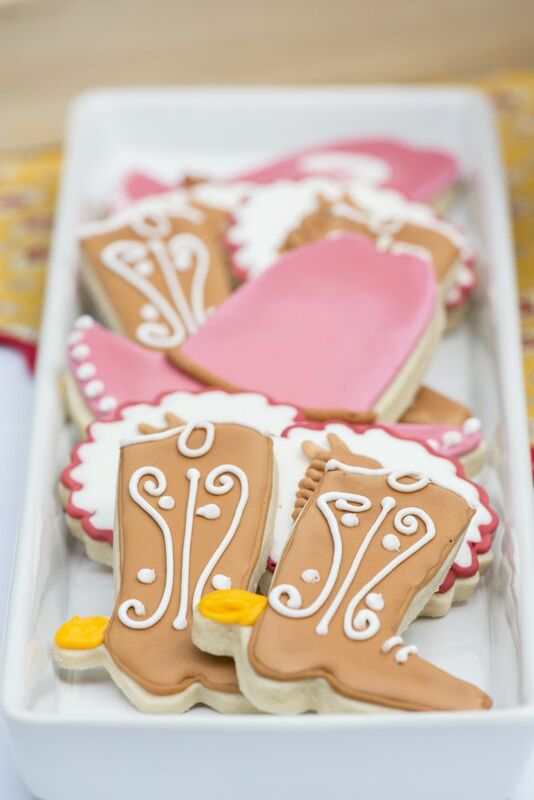 I think the boot cookies are my favorite too, though my mouth is watering for all of it. What a fun party. High five! Did you happen to use PicMonkey on some of your pictures too? I LOVE that site! Just amazing, Jess! You should be so proud. 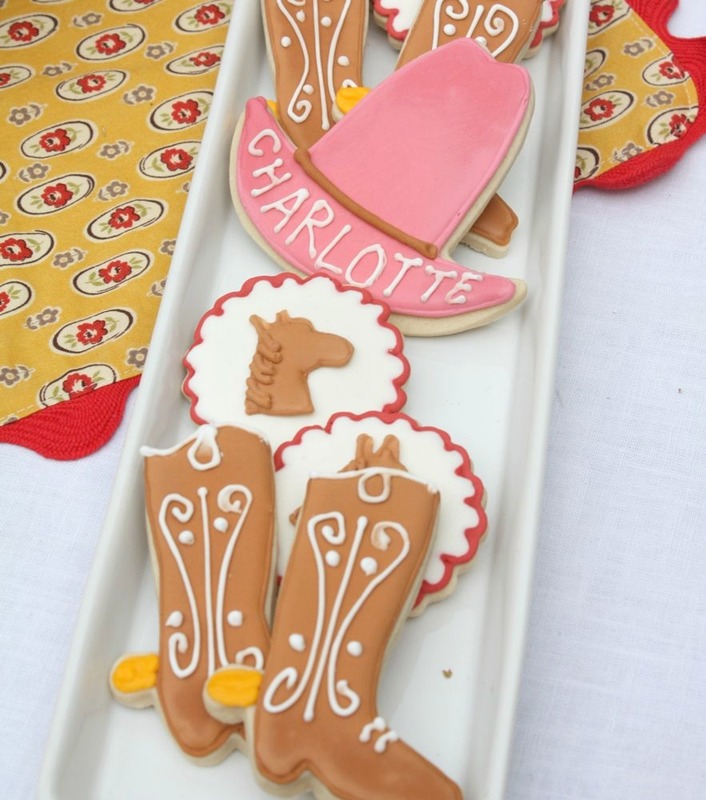 Every little details looks incredible and your little Charlotte is just the cutest thing ever. 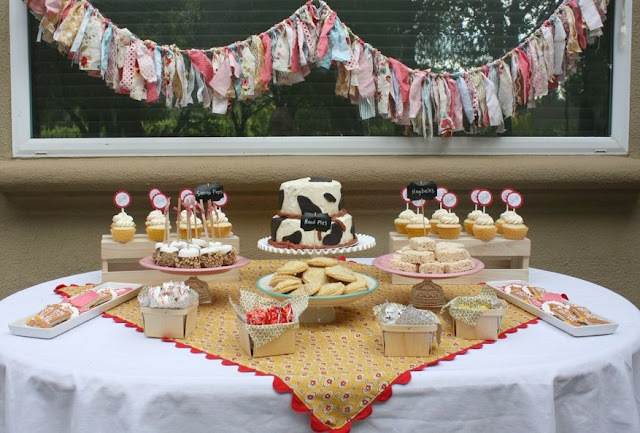 Wow…what a sweet party! 🙂 I love all the details…so cute! Many blessings! every detail is PERFECT! looks like it was awesome. Holy Crap you are AMAZING! So much work, but so much fun. Can you be my mom–or at least come do my kid’s parties? 😉 You rock!! BTW, I think I need a PicMonkey tutorial. I know how to edit pictures in it, but for some reason something like the banner you made is impossible for me. I guess I need to try again. where is Charlotte’s dress from?? if you made it, is there a tutorial?? Your party was DARLING! I loved all the details and personalized touches. And your daughter’s rosy cheeks from the heat! Thanks for sharing these ideas. WOW, this was a lot of work for a birthday party. I am really impressed with all your little details and the wanted photo shoot area is adorable. Great job. Wow, I loved seeing the pics an reading all the bitty details! 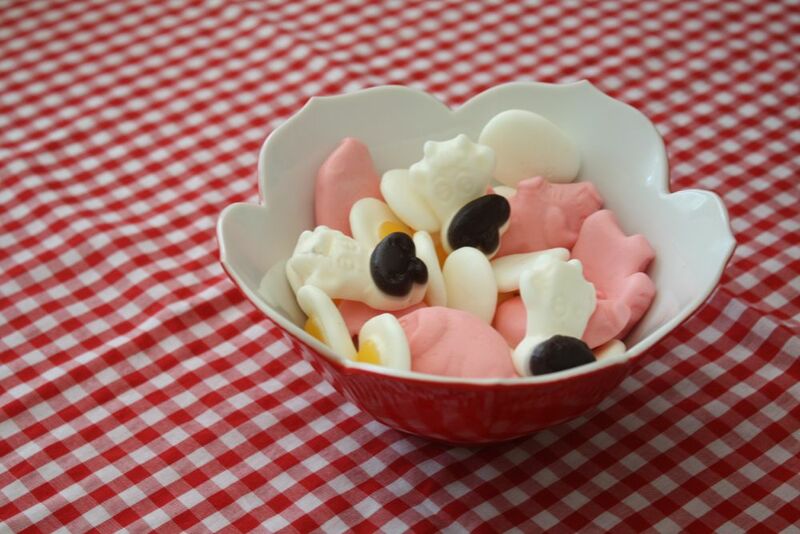 And thank you so much for the product list…you’re amazing! 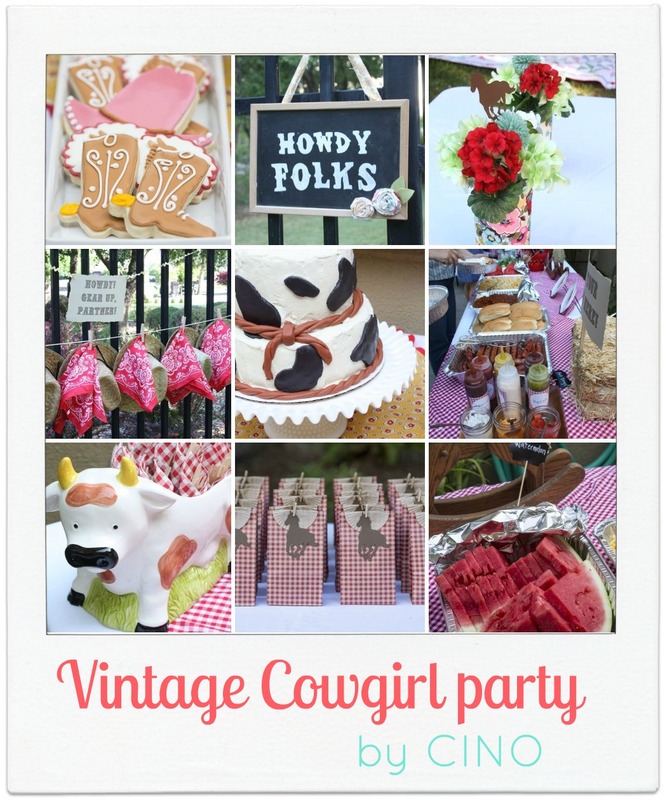 Just curious…do you think I could (as a 34 year old woman) host this exact party for MY next birthday? If I could find a way to add some rollar skating to the mix that would be pretty sweet. Your little girl is seriously the cutest little thing I’ve ever seen! First of all, your little one looks SO happy and cute in the first picture! Second of all…WOW! Way to go! That must have taken a lot of planning and a lot of work, and it looks like you pulled it all off beautifully, despite the heat! I bet everyone had a wonderful time. Do you ever sleep? Amazing party, Jess. Incredible. YES!!! 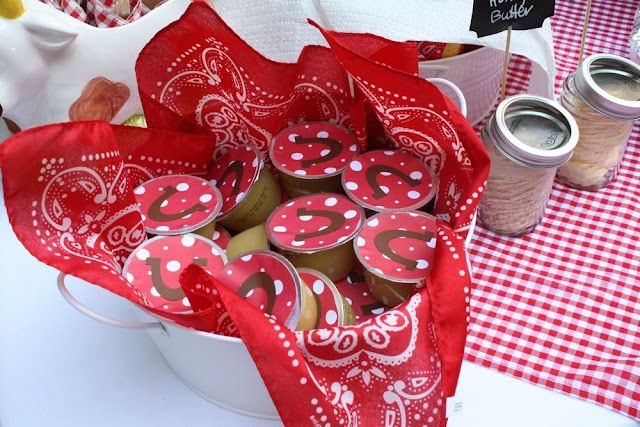 Thank you SO much for posting all about this, because I am just about to do my son’s 2nd birthday party as a western theme! Thank you! Thank you!!! You have some great ideas that I can’t wait to use! 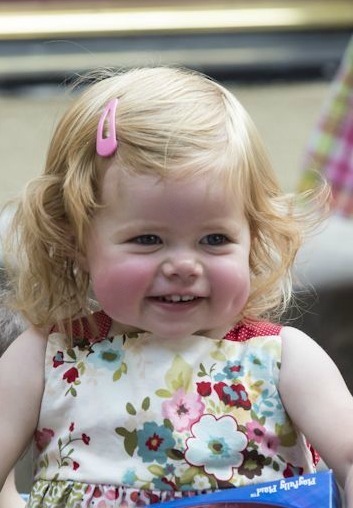 I think Charlotte is one of the cutest little girls EVER! I sometimes come to your blog to get a cuteness fix. can you please adopt?? I want a party like that too!!!!!!!!!!!!!!!!! Your cookies are just too cute, as always! The whole party looks wonderful. I love your attention to detail. I also think its so funny that Charlotte had a larger than her horse. So sad she lost him! You have some MAD party skills! And a preggie on top of it all….amazing! I can’t believe you did all that! Way to pull it all together. So stinkin cute! Okay, that is the cutest party I’ve ever seen! You are awesome! Phew! You must be exhausted! You can sure throw a party. Looks fun and adorable! Amazing!!! You have excelled yourself again. For heaven’s sake Jess, it turned out so cute!! You got skillz girl!! That is the cutest cowgirl party! And now I’m convinced I have to get a silhouette! 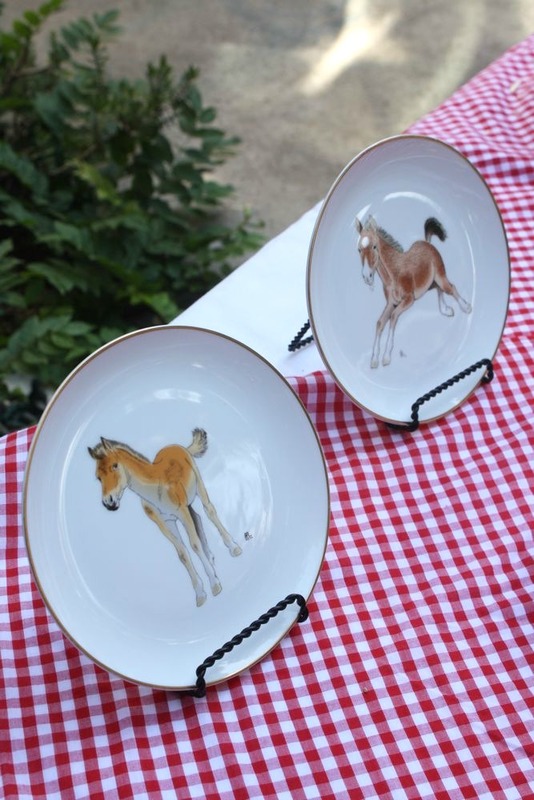 Can you tell me where you found the galloping horse shape? My dd is 6 in Oct. and she would love to have a horsey party. 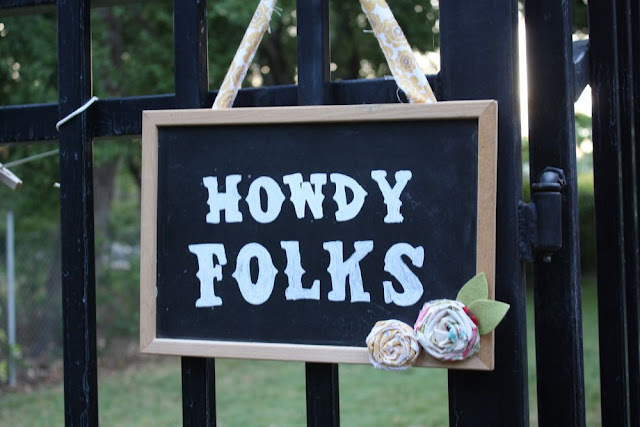 Love your ideas over any other girl western theme…including the use of non pink and then taking primary colors to make them look vintage? Heeelllooo! BRILLIANT. 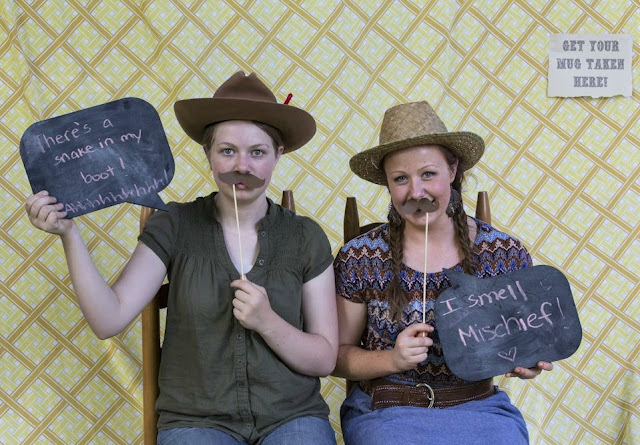 Would love to hear your thoughts on how to make the photo booth run smooth. What kind of camera(s) did you use? Disposable, leave one and let people (and hope) use it and not break it? There are little hands of course. 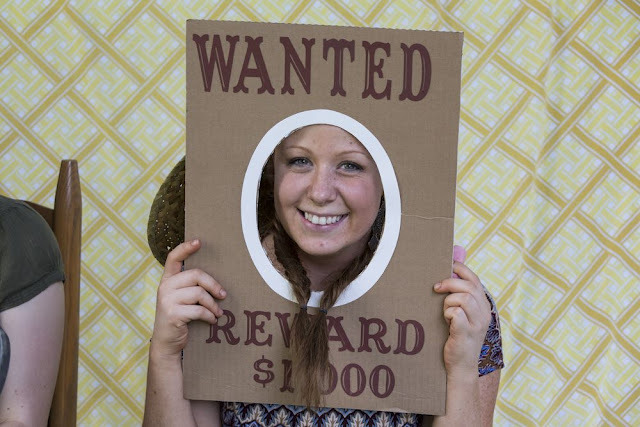 I’m having a five year pony party in three weeks and wanted to try the photo booth idea. So fun! Such great (and cute ideas)!! Wonderfully put together! 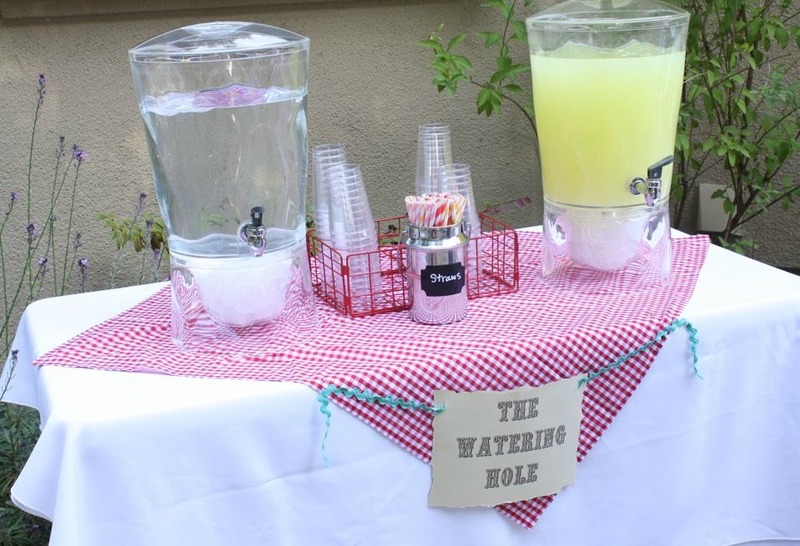 Thank you so much for sharing all your party ideas and even the sources. My lil Sadie Jean is turning 2 in November, and I have been itching to do a vintage cowgirl themed party! I have a lot of ideas flowing now! Thank you, again! 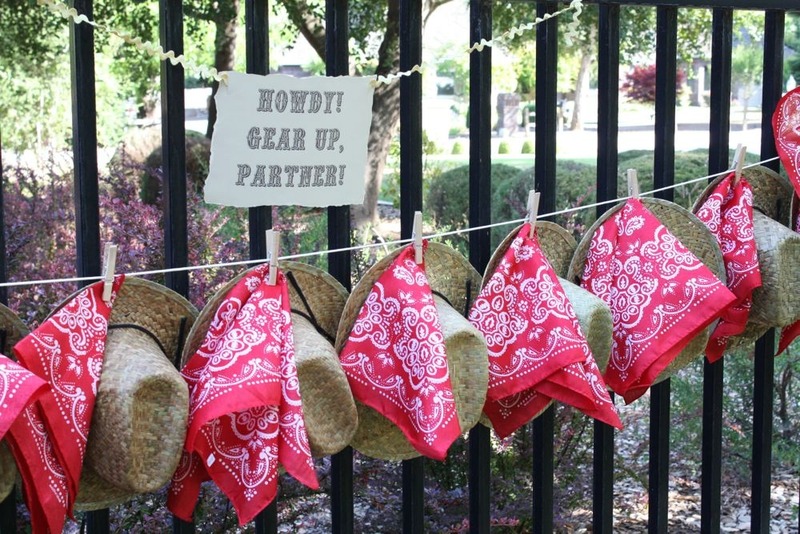 I love how you prepare the party with cowboy theme!!! 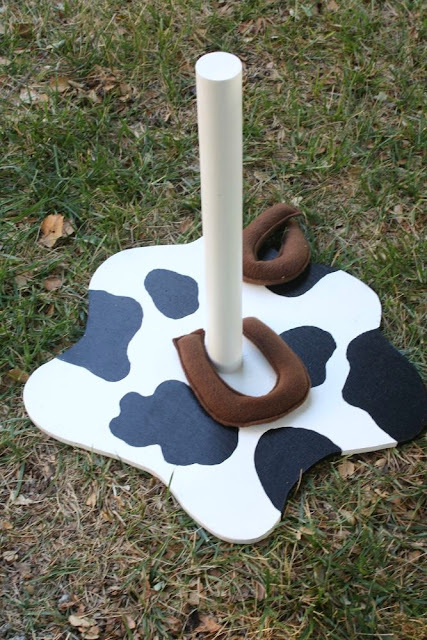 I was browsing to get some ideas on how to make party hats for cowgirl for my new customer and come across to your page. Really nice! !